I had a family contact me this week who has simply had enough of this long, cold, wet winter. Their solution? Pack their bags and head to Disney! But, they wondered....can you do a last minute, spontaneous trip to Disney World? And I can absolutely understand their questions. 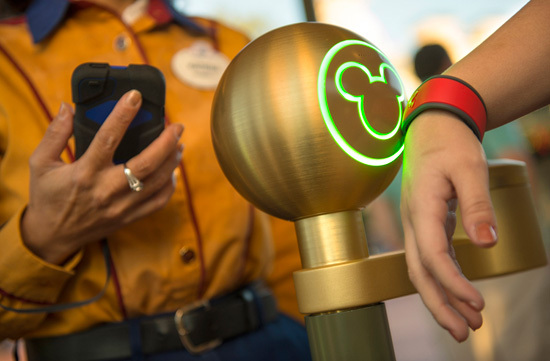 We read about these crazy things like planning your meals 180 days in advance (when you don’t even know what you are having for dinner tonight), making attraction Fastpasses 60 days in advance and ordering Magicbands ahead of time. So, what does that mean for the spontaneous traveler? One, who like this family, wants to just pack up, escape the cold and head to the Happiest Place on Earth? Good News! It IS absolutely possible to have a last minute trip to Disney! And while advance planning makes things easier you can certainly have a very magical trip to Disney World even if you plan it 7 days in advance! The biggest key to a last minute trip trip is to have flexibility. The closer you are to your travel dates may mean that your top resort choice has limited availability. I suggest having a back up choice for your resort. Flexibility also carries over to dining reservations. Some families who travel last minute opt for the Quick Service Dining Plan so they don’t need any table service reservations. However, even 5 days out there are popular dining reservations available. When you are in this window you are often getting cancellations as other folks are changing their plans. If you are willing to do a late lunch instead of a prime dinner time or an early breakfast instead of lunch odds are you’ll be able to snag some good meals! The same thing also applies to Fastpass+. Flexibility is key. Now, we’ll be real, likely you aren’t going to snag the elusive Anna & Elsa Fastpass 7 days in advance but there are so many Fastpass+ attractions to chose from that some of your favorites are sure to be included. Just try to be flexible with the times that are available and build your trip around that. There are a few housekeeping items around last minute trips that should be noted. First, those little booklets that Disney sends you with your “Magical Extras” likely won’t be able to be printed if your trip is within 10 days of booking. It will, however, be sent to the resort for you to pick up at check in. And Magicbands! If you book your trip and order your bands up to 10 days in advance the bands will be sent to your home. If you book your trip between 9 – 5 days in advance you can still customize it on My Disney Experience and they will be waiting at the resort check in desk for you. If you book your trip within 5 days of arrival you will still get a Magicband at the resort it just may or may not have time to be customized! Of course, I recommend you working with a Travel Agent specializing in Disney Destinations for all your trips, including last minute ones! We are here to assist with finding dining reservations and guiding you through the Fastpass process and anything else you may need to make your trip a magical one! So, if you are like me and have absolutely had enough of this winter – let’s go to Disney! Need help planning your last minute trip? Contact Lori at lori@goTMCtravel.com for more information.